Waking up is the worst. You hear the sound of the alarm clock going off and you know it's time to get up, get dressed, and get out the door. Being torn from the pleasant luxuries of warm blankets and soft pillows is a complaint worth griping over, but luckily this newest trend from Japan eases the pain a little bit. Introducing the kigurumi! Kigurumis are the coziest pajamas that are perfectly suitable to wear when going about daily business. Plus, they are designed to look like your favorite movie and television characters. So the next time you have to make a trip to the post office, you can soar there instead. 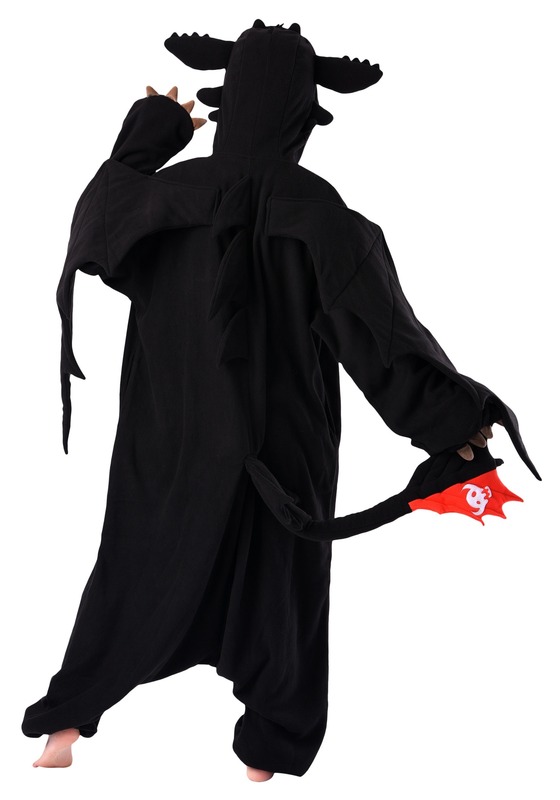 Designed to look exactly like Toothless from How to Train Your Dragon, this adult kigurumi features a pair of attached wings so all your errands will now be carried out by flying! 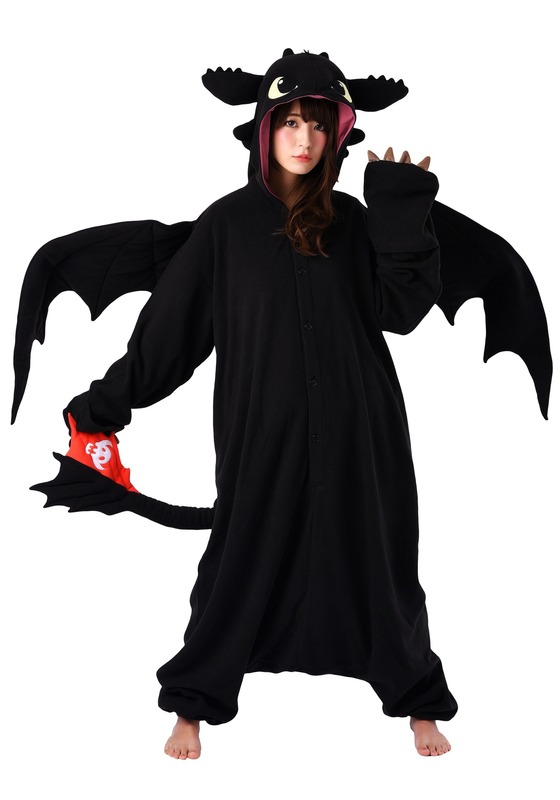 The plush fleece fabric gives you the comfort of lying in your bed, while the character hood and tail turns you into the Alpha of all dragons. The transition from comfy bed to the real world will be more manageable if you introduce a kigurumi into your life. This specific one makes you look like Hiccup's rare dragon bestie, Toothless. Be prepared to feel ferocious enough to take on the day, while staying snugly as can be.